Lizzy Yarnold made history as she defended her Winter Olympic Games title and Laura Deas bagged a brilliant bronze during a sensational Saturday for Team GB’s skeleton racers at PyeongChang 2018. Yarnold, who trains at the University of Bath with the British Bobsleigh & Skeleton Association (BBSA), went into the final run two-hundredths of a second behind Janine Flock but then smashed the track record to put the pressure on her Austrian rival. Flock could only produce the tenth-fastest time of the final run and dropped to fourth in the overall rankings, meaning that BBSA slider Deas – who performed consistently across all four runs – finished in the bronze-medal position behind Germany’s Jacqueline Loelling. 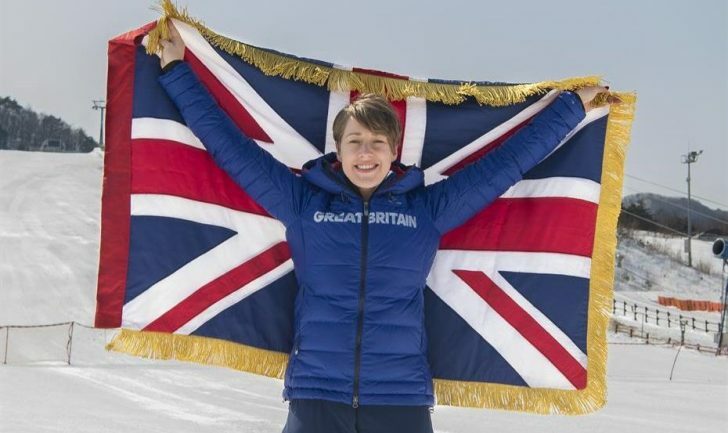 Yarnold is the first Brit to defend her title at a Winter Olympic Games and the first women’s skeleton athlete ever to win two medals. Deas’s bronze, along with a third-placed finish for slopestyle skier Izzy Atkin earlier in the day, made it Team GB’s most successful day in a Winter Olympics ever. It is also a third medal of the Games for BBSA athletes, following University of Bath Mechanical Engineering PhD student Dom Parsons’ bronze in the men’s competition on Friday. Skeleton athletes training at the University of Bath, using the UK’s only outdoor push-start track, have now won seven medals at the past five Winter Olympic Games. Alex Coomber won bronze at Salt Lake City in 2002, University of Bath graduate Shelley Rudman took silver at Turin in 2006 and Amy Williams memorably won gold at Vancouver in 2010 before Yarnold claimed the title at Sochi 2014.